Cream of pistacchio liqueur was created, with the characteristic green of the original fruit, which is harvested exclusively from the Etna countryside. 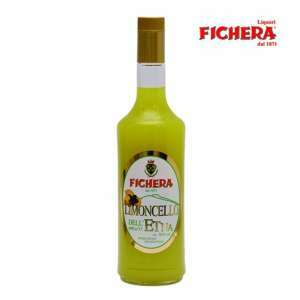 It is an excellent cream liqueur to accompany desserts, but also goes well with confectionery and home-made ice cream. 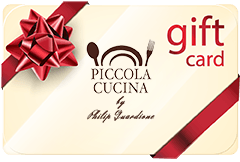 The pistacchio tree grows and flourishes naturally on the slopes of the famous volcano – Etna – in Sicily. From the old and skillful traditional recipes of Commander Alfio Fichera’s distillery, this cream of pistacchio liqueur was created, with the characteristic green of the original fruit, which is harvested exclusively from the Etna countryside. It is an excellent cream liqueur to accompany desserts, but also goes well with confectionery and home-made ice cream. 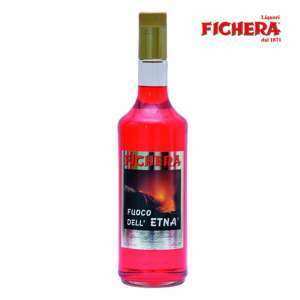 This cream is produced traditionally by the Fichera Liqueur Company, founded in 1871, which took its name when taken over by Commander Alfio Fichera 50 years after it started. The company has always specialised in the home-made production of liqueurs, following traditional recipes from the Sicilian countryside, to create drinks with the characteristic fragrance and tastes of the island. 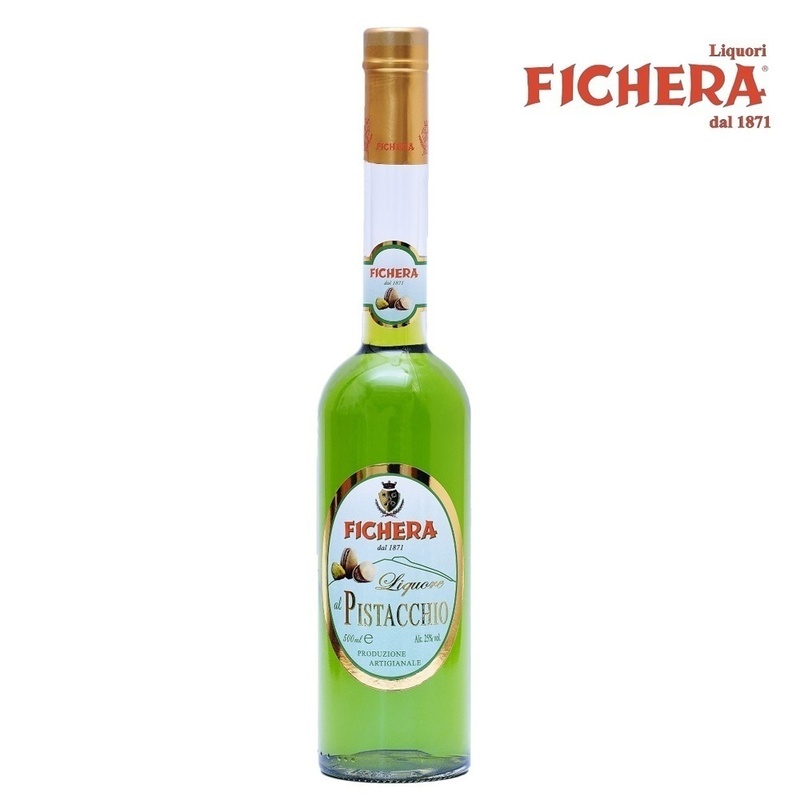 The Fichera Cream of Pistacchio is sold in 500 ml bottles with an alcohol content of 17%. The ingredients are: cream, milk, sugar, glucose syrup, alcohol, milk protein, pistacchios (minimum 4%), colourings: chlorophyll, curcumin, E102 and e133.